President of India Pranab Mukherjee today said that employment is a vital factor in economic empowerment of persons with disabilities. 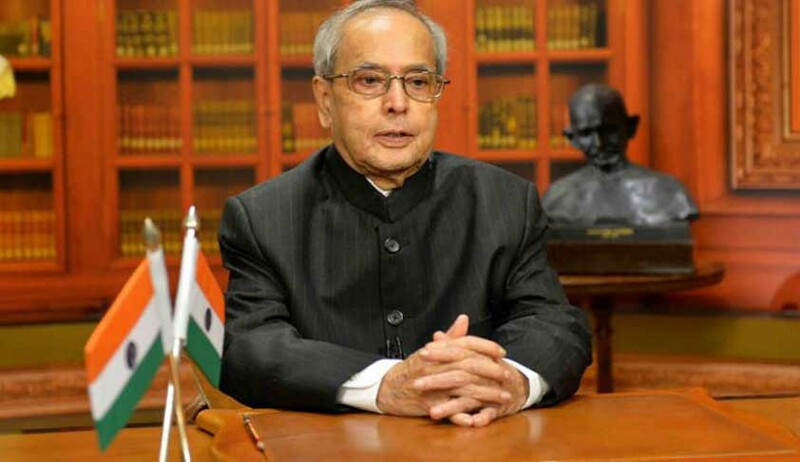 President was presenting the National Awards for the Empowerment of Persons with Disabilities (Divyangjan) in New Delhi today on the occasion of International Day of Disabled Persons. He stressed the importance of inclusive education for children with special needs. Much more needs to be done. It is indeed a pleasure for me to present amidst you on this occasion which is recognized as the International Day of Disabilities. I have immense pleasure to confer these awards to recognise and honour individuals and organisations who have selflessly contributed to the empowerment of persons with disabilities. I congratulate them and thank them for their commitment and their invaluable work. I would stress the importance of inclusive education for children with special needs. Much more needs to be done. I am glad that Government of India provides scholarships, creates effective teaching-learning conditions, designs study material in appropriate formats and facilitates access to relevant educational technology. I am glad that equal focus is being accorded to training of teachers and updating of their methods to make them more effective. The “Accessible India” campaign launched last year is, to my mind, a good step in creating barrier-free access to public buildings and public transportation. I understand that 50 cities have been identified for the campaign and more than a thousand buildings in those cities will have retro-application of new access systems. Similarly, information and communication technology has contributed in many ways to improving the daily lives of the disabled. This supplements Government’s efforts –in distribution of contemporary aids and devices. Such initiatives not only encourage beneficiaries and strengthen their morale but also create a positive awareness. I understand that in the last two and half years, 5.8 lakh persons with disabilities have benefited from the distribution of Rs 350 crore worth of equipment. Government has funded almost five hundred implant surgeries in more than 140 hospitals. The National Handicapped Finance Development Corporation has also released Rs 300 crores in loans for self employment and skill development, benefitting about 78,000 recipients. Government has also established 6 new Braille Presses. In order to develop a common language and communication for hearing impaired in the country, Government of India has established the Indian Sign Language Research and Training Centre. It intends to launch a Unique ID project to create a national database of persons with disabilities to guide its further outreach and make it as wide and comprehensive as possible. Ladies and Gentlemen, employment is a vital factor in economic empowerment of persons with disabilities. Vacancies have been reserved for such applicants in Government Ministries and establishments. Government’s National Action Plan for Skill Development will cover 25 lakh persons with disabilities by 2022 to enhance their employability. I would encourage both the public as well as private sectors to be active partners in this endeavour. I am happy to note that Government of India had, in collaboration with National Institute of Technology, Kurukshetra, organised, for the first time in our country, a national level IT competition among youths with disabilities. I would like to see more such competitions held at State-level for instilling IT skills in youth with disabilities. The value of early detection and effective intervention cannot be emphasised enough. A number of simple precautionary steps can prevent the illnesses and chronic conditions that can cause disabilities - particularly among susceptible age groups. Immunization, disease prevention, better hygiene, sanitation and nutrition, comprehensive maternal and neonatal care are areas where we should apply ourselves with vigour. Our media can play a major role in creating awareness and projecting positive stories in this respect. I look to each citizen of India to see how he or she can contribute to the collective effort for the benefit of the disabled in our society : Once Rabindra Nath Tagore’s observed in one of his poems which come in my mind and I quote: “The problem is not how to wipe out the differences but how to unite with the differences intact.” As I leave these thoughts with you, I once again congratulate all the National Award winners and convey to them my best wishes for their further success.